This tale of an ancient Olympic athlete holds valuable advice even for today's trainers. 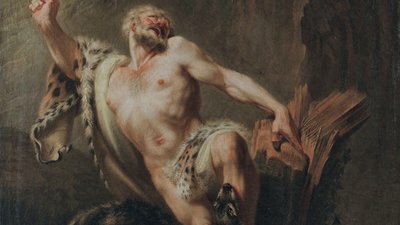 Nearly 2,500 years ago, a man of incredible strength and athleticism roamed the hills of southern Italy. His name was Milo of Croton, and he was the most successful wrestler of his day. Milo was a six-time wrestling champion at the ancient Olympic Games in Greece. In 540 BC, he won the boys' wrestling category, then proceeded to win the men's competition at the next five Olympic Games. He also dominated other competitions, winning the Pythian Games seven times, the Isthmian Games 10 times, and the Nemean Games nine times. In the rare event that an athlete won all four games in one cycle, they were awarded the title of Periodonikes, a grand-slam winner. Milo won this grand slam five times. Now for the important question: What can Milo's incredible strength teach you about how to build muscle and improve your health and fitness? The answer is covered in a famous story about how Milo developed his strength. It is said that Milo built his incredible strength through a simple but profound strategy. One day, a newborn calf was born near Milo's home. The wrestler decided to lift the small animal up and carry it on his shoulders. The next day, he returned and did the same. Milo continued this strategy for the next four years, hoisting the calf onto his shoulders each day as it grew, until he was no longer lifting a calf, but a 4-year-old bull. The core principles of strength training are encapsulated in this legendary tale of Milo and the bull. Did Milo try to lift a full-grown bull on day one? Of course not. He began with a newborn calf. Given his wrestling prowess, it is very likely that this was a weight that was easy for him. It works the same way for you and me. When you begin strength training, you should start by lifting something easy. It is only by focusing on volume, repetition, and easy weights in the beginning that you build the capacity to handle heavier weights later on. Milo's strategy wouldn't have worked very well if he tried to pick up the bull on its birthday each year. The calf would have grown too much, and Milo would have grown too little. And yet, this is exactly the strategy many of us employ. Too often—especially around New Year'—people will try to "pick up a bull" by getting incredibly motivated and exercising like never before, only to fizzle out a few weeks later. A more useful strategy is to start with something incredibly small, an exercise that is so easy you can't say no to it, and then repeat and improve slowly. If you want to make progress, you have to make a reasonable, sustained effort. As an example, when I started my push-up habit, I began with a number that was very small and easy to do. Because the workout didn't intimidate me, I was more likely to follow through each day and not miss workouts. In short, do things you can sustain. Every day, Milo's calf grew just a little bit. An ounce here, a pound there. And yet, these tiny gains added up to a significant weight in a relatively short amount of time. It works the same way in the gym. Do you think you could squat one more pound this week than you could last week? Most people probably could. And if you added just one pound per week for two years, you could be squatting 100 pounds more than you are today. How many people do you know that are squatting 100 pounds more today than they were two years ago? I don't know many. Tiny gains add up fast. Average speed can take you far if you just keep walking. The weight on the bar should grow like a calf in a field: slowly, gradually, reasonably. James Clear is an author, photographer, and teacher who focuses on the habits and rituals of athletes, artists, and entrepreneurs.